1. Alex's Lemonade Stand is a local organization that works to fight childhood cancer one cup of lemonade at a time. My kids and I are planning on having an Alex's lemonade stand this summer to help raise money to donate to this organization and help fight childhood cancer. 2. McDonald's also came to speak with us and tell us about their new McWrap. Some local bloggers have helped a nearby Ronald McDonald's House, which helps sick kid's. It was nice to learn more about McDonalds and their positive involvement in our community. 3. 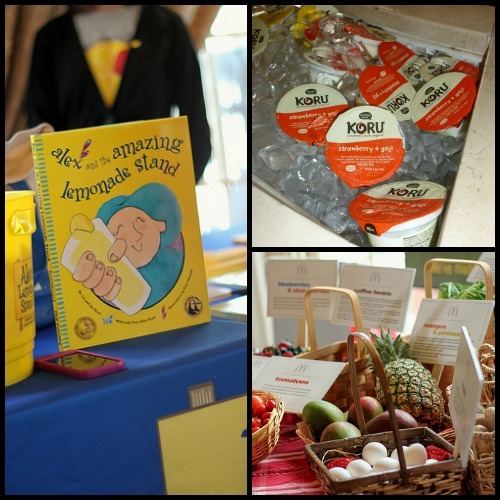 Koru Yoghurt is a delicious creamery style yoghurt that completely impressed me. Everyone in my house likes yogurt so I know a good yogurt when I taste one. I really like Koru & I'm hoping on doing a giveaway with them soon, so keep checking the blog for more info! 4. 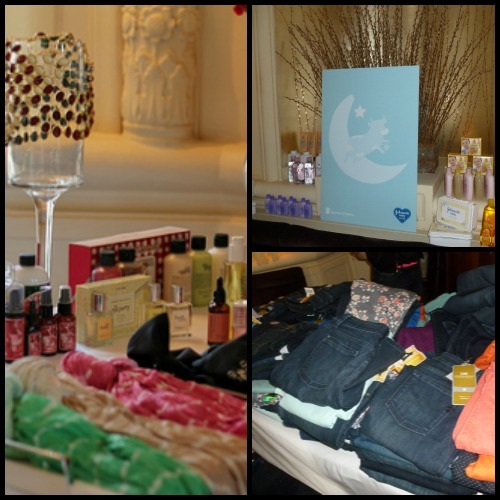 QVC and Send the Trend were at the Mom Mixer with tons of cool spring & summer accessories. From earrings to scarves and chunky necklaces, they had so many different ideas for adding a pop of color to your wardrobe. 5. I had no idea that Lee Jeans had such a wide variety of women's jeans. Seeing their selection blew me away. Whether you want a pair of bright melon colored jeans, a funky print or a traditional boot cut, they have something for you. 6. Johnson's Baby booth also enabled us to make a "Care Card" for someone special. For every card made, they donated $1 to Save the Children! How cool is that? Disclosure: I received a swag bag and samples thanks to the sponsors listed above. All opinions are purely my own. Newer PostMore Simple Crafts to Do With Preschoolers & Big Kids too!